Music Player Pro+ is a stunning media player, beautifully crafted with Material Design in mind and packed with some extraordinary powerful features. 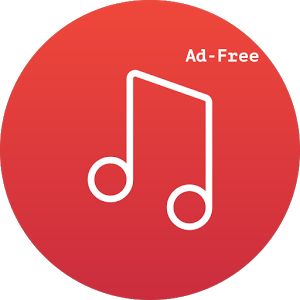 It is one of the Best Free Music Player for Android, which can fulfill all your Musical needs with music enhancement player and motify music. ※ Browse and play your music by albums, artists, songs, playlists in the player and motify music. ※ Best Offline Music player that works without Internet too. ※ This is the best mp3 player with this user can install and listen the songs. ※ Enjoy Free music of your choice. ※ It is Music Apps, that quickly allow to search all music files. ※ Swipe to change songs in Play Screen. ※ Lock screen controls with Full Screen Album Art in the best music player. ※ Intuitive User Interface combined with the crisp and clean layouts will give you the best mp3 player user experience. ※ Music Player Pro is to be used with the local music files to motify music. ※ Cool Seamless transitions and animations. We are striving hard to make this the best music player with high volume perfect for you. Now enjoy revamped Music Player with different Accent colors !